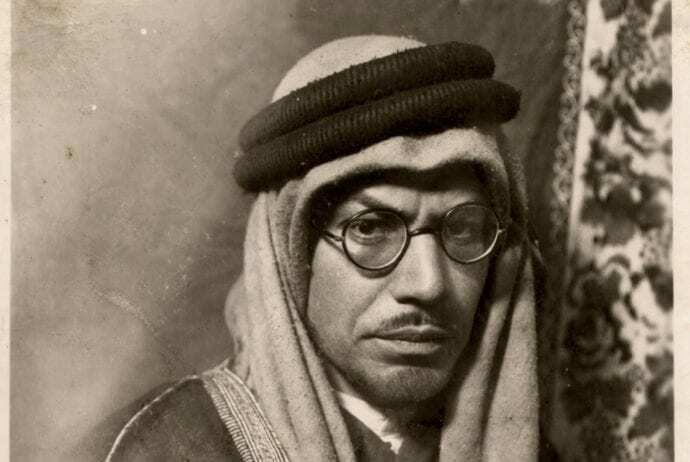 Perhaps the only thing more extraordinary than Muhammad Asad’s life is the fact that he is not better known. After all, how many Jewish converts to Islam who befriended Ibn Saud, helped draft the Pakistani constitution, and became renowned religious scholars do you know? Born Leopold Weiss to a family of Galician Jews in 1900, Asad converted to Islam in 1926 following years of living in the Middle East as a foreign correspondent for the Frankfurter Zeitung. He went on to become an avid proponent of Islamic modernism, publishing numerous studies and a translation of the Qur’an that stressed the rationalistic foundation of Islam. He traveled across the interwar Middle East before landing in India, where the British detained him as an “enemy alien” during the Second World War, in which he lost his father and sister to the Holocaust. He later served the Pakistani government in official roles within the Department of Islamic Reconstruction and the Ministry of Foreign Affairs before becoming a diplomatic representative to the United Nations in 1952. This extraordinary—there is no other term for it—biography is intertwined with a formidable intellectual legacy, though the latter has at times been overshadowed by the man himself. Details from his 1954 autobiography, The Road to Mecca—in which Asad describes his embrace of Islam alongside depictions of contemporary political leaders, Bedouin life and espionage missions—have often found their way into popular writing. Yet the text has rarely been the subject of scholarly analysis, nor has there been much engagement with the theoretical substance that Asad brings to the foreground in recounting his transformation. In this article, I would like to shift the focus slightly away from the man and his adventures and toward the intellectual disquiet that figures so prominently in his conversion narrative. Asad’s decision to embrace Islam has often been spoken of as a rejection of Western materialism in favor of Eastern spirituality, or contextualized within the intellectual malaise and moral uncertainty that followed World War I. I would like to suggest that both readings are partially correct, but nonetheless miss the broader theme in Asad’s work: his sustained critique of liberalism and the secular self on which it relies. While there is something to be said for pointing to the hollowness of materialism as a factor that drives Asad toward Islam, this interpretation nevertheless seems to miss the larger critical project. It is not merely Asad’s rejection of capitalist greed that leads him to Islam. It is rather a longing for wholeness, a desperate hope to reunite “man’s inner and outer beings,” his spiritual and material selves, to discover “a life in which man could become one with his destiny and so with himself.” In short, his rejection of materialism is part and parcel of his critique of secular citizenship as a model that severs the public from the private, the material from the ethical, and the body from the spirit. It is worth noting here that Muhammad Asad actually did come from a tradition that poorly corresponds to the modern definition of “religion,” and wasn’t thought of in such terms until recent centuries. One could engage in a whole series of counterfactuals as to whether Asad could have issued this critique of European secularism had he lived in the Russian shtetl rather than assimilated Vienna. After all, Judaism is also a “religion” of law that rejects both asceticism and the form of mind-body dualism which is so central to Christian thought, and whose reverberations continue to pulse through the political construct of the secular self. Perhaps exploring this element of Muhammad Asad’s work might also lead us back to a question to which Martin Kramer only begins to answer: Why were so many Jewish “seekers” drawn to Islam, in varying degrees, during the height of European progress and its emancipatory project? Can Asad’s critique of secularism teach us something about the peculiar position of the Jew within the liberal state on one hand, and the types of politics available to “religious minorities” on the other? This question is all the more crucial in light of Aamir Mufti’s insistence that “the crisis of secularism be examined from the point of view, and at the site, of minority existence.” And is there a constructive way to engage the “Jewish Question” alongside that of Asad’s critique of secularism without falling into crude assessments of how Jewish Asad “really” was or why he didn’t talk more about anti-Semitism? In the end, of course, Asad rejects the Judaism of his parents as being both lifeless and chauvinistic, focused on the chosen-ness of the Jews rather than what God chose them to do. It was rather the Arabs of his day, those tribes who still wandered under the same desert sky that first inspired the monotheistic idea, who were the true heirs to ancient Hebrews. All this while the Zionists “threatened to transfer all the complications and insoluble problems of European life” into the Islamic heartland. In explaining his opposition to the Zionist project, Asad argues that the Jews were not truly returning to a homeland, but rather “making it into a homeland conceived on European patters and with European aims.” It is perhaps in Asad’s rejection of Zionism that we can best approach the complex relationship that bound his Jewish past to his critique of European liberalism. The Jews were not returning as Jews, but as Europeans. Though he is frequently referred to as “Europe’s gift to Islam,” a careful reading of The Road to Mecca should push us to reconsider this formulation and the implications it mobilizes in painting Asad as a European reformer of a backward tradition. Even when deployed in the context of more nuanced studies, such as that by Murad Hofmann, this depiction is clearly suggestive of some inadequacy within Islam itself that can be best ameliorated by a “gift” from the enlightened West. And yet, the text seems to suggest quite the opposite: it seems that Europe, in Asad’s final assessment, could use a gift or two of its own. Suzanne Schneider is currently working on a book about religious education and mass politics in Mandate Palestine. Her research concerns the development of religious modernism in both Islamic and Jewish contexts, the “reform” projects forwarded by these movements, and their relationship to the material and epistemic dimensions of European colonialism. Suzanne received her Ph.D. in 2014 from the Department of Middle East, South Asian and African Studies and the Institute for Comparative Literature and Society at Columbia University.